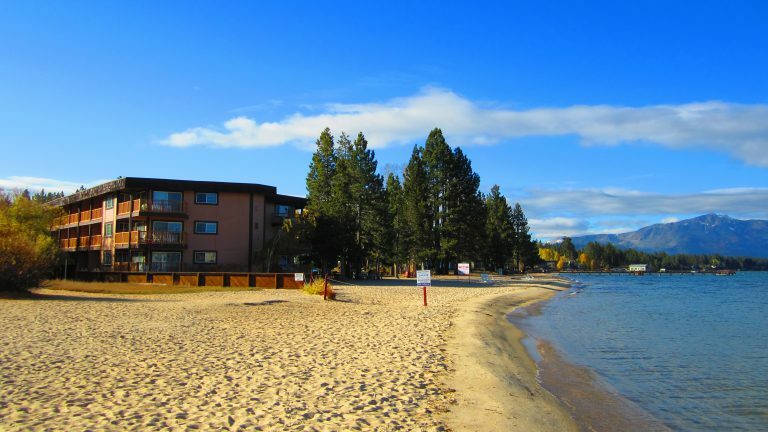 Combining the best of all vacation worlds, Tahoe Beach & Ski Club is the perfect resort for every season and vacation style. Ski or snowboard on some of California's most challenging slopes, or soak up the sun and scenery on the picturesque shores of world-famous Lake Tahoe. The resort features a 400-foot private beach, volleyball and tennis courts, a fitness center, heated pool and outdoor hot tubs. 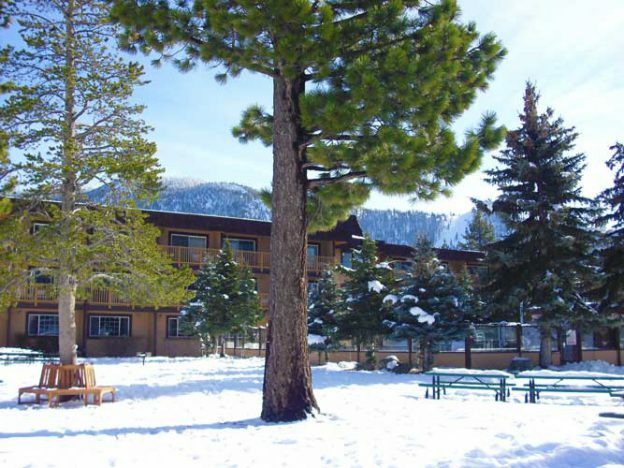 Tahoe Beach & Ski Club provides a variety of accommodations to suit every vacationer. 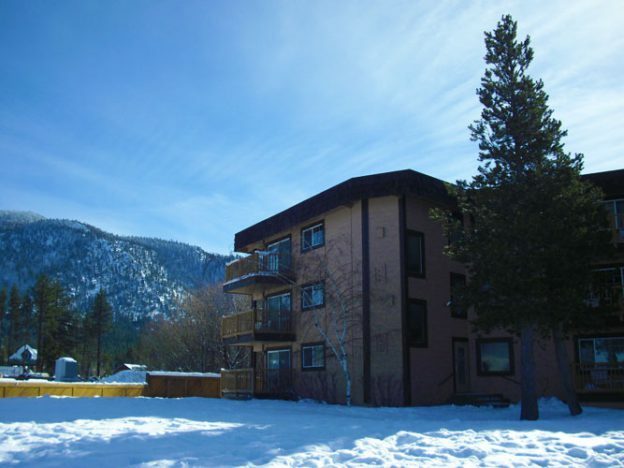 From cozy studios for two with balcony and partial kitchen; to cabins that sleep six and offer a vaulted ceiling and fireplace, patio with gas grill, two bathrooms and a full kitchen, Tahoe Beach & Ski Club is the perfect destination. All accommodations provide flat-screen TV, CD and DVD players. Each bathroom includes a hair dryer. Guests enjoy a visit to one of the area's world-class casinos, a meal out at any of dozens of restaurants, or just an evening to relax and take in the majestic 20-mile view of the mountains and azure lake from the comfort of their spacious room. A busy calendar of resort activities ensures there's always plenty to do. From the view of towering pines and mountain slopes, to the glittering casinos and world-class entertainment, South Lake Tahoe offers the ideal blend of nightlife and nature. Please note this resort has a daily resort fee of $15.00 per day. Late Arrivals : If you expect to arrive late for check in, please ensure you telephone the resort (on the above number) prior to arriving to make arrangements for the key. Please note this resort has a daily resort fee of $13.00 per day.